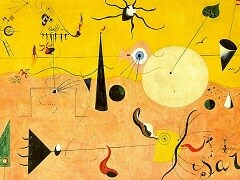 Joan Miró said that The Birth of the World depicts "a sort of genesis" - the amorphous beginnings of life. 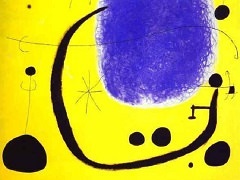 To make this work, Miró poured, brushed, and flung paint on an unevenly primed canvas so that the paint soaked in some areas and rested on top in others. 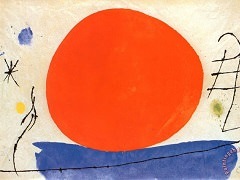 Atop this relatively uncontrolled application of paint, he added lines and shapes he had previously planned in studies. 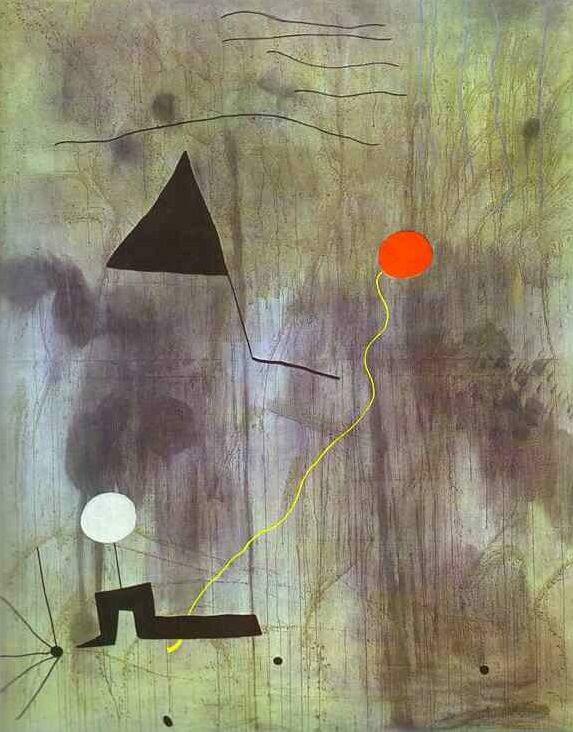 The bird or kite, shooting star, balloon, and figure with white head may all seem somehow familiar, yet their association is illogical. 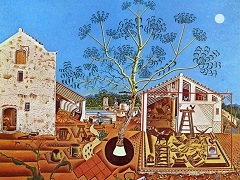 Describing his method, Miró said, "Rather than setting out to paint something I began painting and as I paint the picture begins to assert itself, or suggest itself under my brush.... 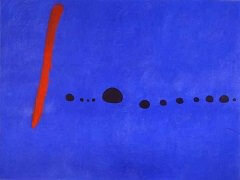 The first stage is free, unconscious." 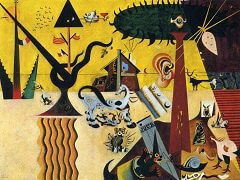 - like other Surrealists, Miró derived much inspiration from psychoanalyst Sigmund Freud's theories on dreams and the workings of the subconscious mind.